On doctor’s orders, I’m no longer watching Bears games. It’s bad for my blood pressure and mental well-being. Of any team in football, I wish I could run the Chicago Bears right now. This team should have a winning record and be looking at the playoffs and possible division title instead of their sad 3-7 record. The mismanagement of this team by John Fox is a sight to behold. The talent on this team foir the future…the NFC North may be the most loaded division in football in 2018. While I think about that – don’t hold the Vikings defense in 2018 in dynasty leagues…if that matters to you. Rodgers-Trubisky-Stafford six-times a season before we get to Rams + Patriots + Seattle + 49ers + NO/CAR + PHI/DAL on the schedule next season. The Vikings DST, and team, are D.O.A. in 2018. They have a schedule loaded with offensive firepower opponents…and they will combat that with Mike Zimmer pushing Dalvin Cook. The Vikings aren’t meant for shootouts. Skolman…enjoy 2017 because it won’t be pretty in 2018. A 10-0 lead right off the bat…the best-looking start to a game all year for the Bears. SURPRISE…they used Tarik Cohen heavily this first series (1st pass of the game was a quick pass to him, but thrown over his head). Multiple touches at RB and split out as a flanker for Cohen. Funny how that works – more Cohen, more offensive success. I need more Cohen, I gotta have more Cohen…I have a fever and the only cure -- is more Cohen. So, of course, once in the leadJohn Fox has to just then go vanilla and sit on the lead. Why would you think the Lions would score 20+ points no matter what you try to do? The 10-0 and 17-7 leads for the bears was lost by halftime…21-17 Lions. If you wonder why I say Mitchell Trubisky is the best QB prospect I’ve ever seen – go watch his last two plays of this game. First, the 4th-down run was ‘nails’. Second, watch his throw to set up a field goal chance. Trubisky drops back, clock winding down, he can’t afford a dump pass. He looks left, and then comes back right and fires an absolute laser to Dontrelle Inman defeating the great Darius Slay’s coverage…a ball where only Inman can catch it. Long enough pass that the Bears are now set for a 46-yard FG to tie the game. And they miss the field goal. The Bears should have won this game going away. Instead, the Lions get a fortuitous win. Detroit is 6-4. If they beat the Vikings Thursday and they jump to 7-4 with Minnesota falling to 8-3…the Lions would be one game back and would hold a 2-0 season record tie-breaker over Minnesota. Thursday is MASSIVE for Detroit (and Minnesota to put away the division). If the Lions can win Thursday, they are set up to win 3-4 of their last 5 games. You gotta have 10 wins to be in the NFC playoffs this season. I think the schedule is going to get Detroit there, even if they lose to Minnesota but they definitely will get there if they beat the Vikings this week AT Detroit/home on Thanksgiving…a huge Detroit advantage. Detroit needs to win the division because they’ve lost to ATL, CAR, NO. They are screwed in a lot of tie-breakers for the wild-card, it appears. 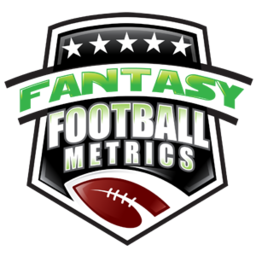 -- Real of head-fake on Tarik Cohen’s (9-44-1, 4-15-0/6) Week 11? I don’t want to say because everyone already hates me over Cohen as it is. The pattern has been…there is no pattern with Cohen’s usage. Every spike leads to a certain death. Every silence and quitting leads to a hope around the corner. I do know this – Cohen is one of the most electric players in the NFL. The closest thing there is Tyreek Hill. Someday, that is going to matter for fantasy. Someday, you will thank me for all this. Just not the past 6-8 weeks. In reality, Cohen is tracking as a top 20 PPR RB YTD (among active RBs). He finds a way to matter/be plausible. He’s scored a TD in two of his last 3 games. What an odd catch count in games this season. Starting Week 1, his catches in a game: 8-8-4-4-1-1-1-1-1-4 (3.3 per game). If you ignore his Week 10 game, just throw it out…he’s a top 17-18 PPR RB this season in PPG otherwise. He hasn’t been as bad as you think. He’s just not had the ‘wow’ since Weeks 1-2-3. It could be right around the corner, again. -- This is the game where I am now convinced Adam Shaheen (4-41-0/4) is the Bears TE of the future, and the TE of the current. I think Daniel Brown is better, today, but Trubisky and Shaheen are BFF’s off the field…and Shaheen has ‘draft status’. Trubisky is throwing to Shaheen when he’s barely open and loves to look for the 6’6” target in the end zone. He got him a TD in this game…barely open but another perfect Trubisky throw sealed the deal. Shaheen is not getting open very well, but he's taller than his coverage and Trubisky knows exactly where to throw the ball and has an uncanny ability to deliver it. On another team, I don’t care about Shaheen long-term, but this situation and given Trubisky-Shaheen’s relationship…it has my attention. -- Abdullah v. Riddick carries in this game – just 11 to 9 for Ameer. I think the Lions are getting a bit fed up with Ameer Abdullah (11-22-0, 2-13-1/2) and his glamorous 3.4 yards per carry ways, but they have no answer with slow Theo Riddick (9-35-0, 1-4-0/2). Dwayne Washington and/or Zach Zenner WOULD YOU PLEASE STAND UP!!! -- Watched a bunch of Kenny Golladay (2-52-0/3) without the ball in my studies this week. Man, does he run stiff. He’s a 4.50 runner, per the Combine, but he has super-stiff legs/hips. He’s open a lot but Matt Stafford isn’t looking all the time. Not ready for 2017, but one to watch emerge 2018. -- Bears DT Mitch Unrein (5 tackles, 1.0 sacks) is on a bit of an IDP roll lately…3.7 tackles, 0.6 sacks per game the past 4 games.